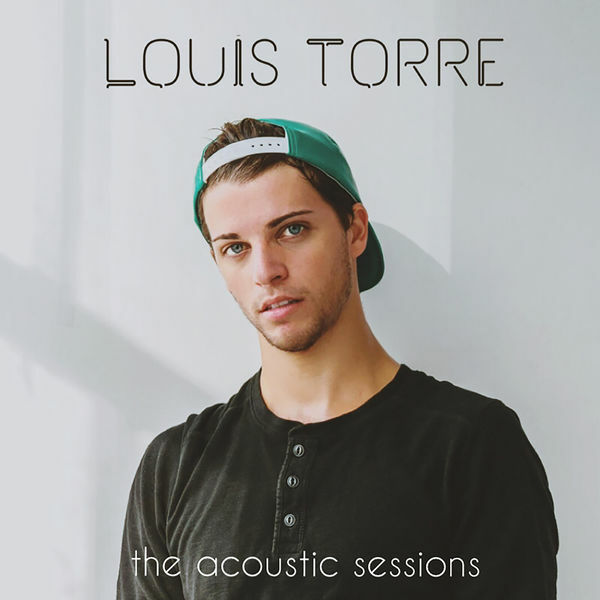 You may be familiar with Louis Torre because you’ve heard his popular, stripped-back covers of songs like “There’s Nothing Holding Me Back” by Shawn Mendes, “Don’t Take The Money” by Bleachers and “Toxic” by Britney Spears. 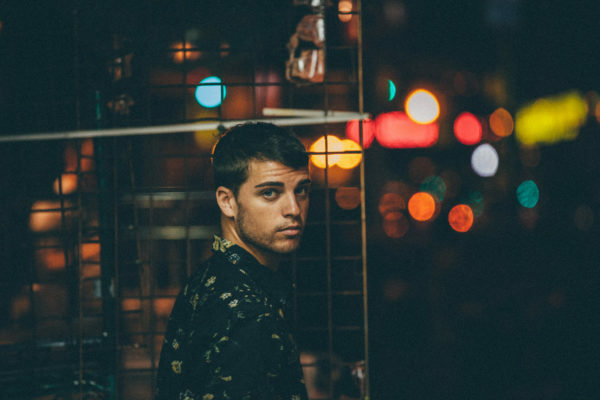 He’s released roughly two dozen covers already, and we discuss those at length, but we also focus on the bigger reason why I wanted to interview him: his recently released, original album Come Clean. In many ways, the debut record is the antithesis of his covers. Where the covers are usually light and acoustic, his album is dark and beat-driven. Of course, it’s not all dark, but listen to songs like “Catch Me If You Can” or “Silent Film” and you’ll think he’s one of the most melancholic artists ever. 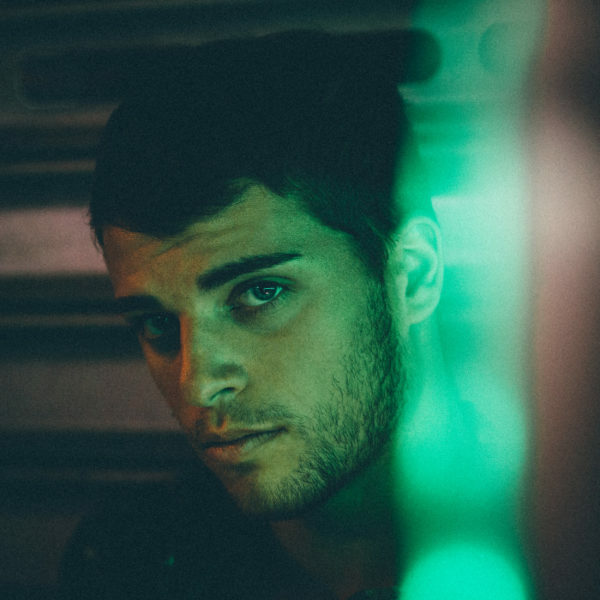 Yet he juxtaposes those with upbeat tunes like “Fire” and “Wonder.” Genre-wise, he’s influenced by pop, dance, R&B, soul and – if his covers are any indication – folk and ambient (like Bon Iver and James Blake). With such a wide array of influences, you might suspect that his album would be an all over the place mess, but that’s hardly the case. The songs on his album fit together perfectly like pieces of a puzzle. A beautiful, yet complex, puzzle. 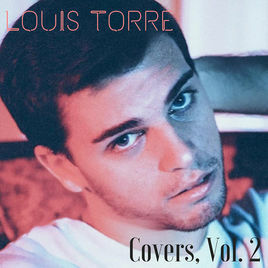 A puzzle of… Louis Torre, the one and only. Give it a listen below while you enjoy this interview. MM: I read that you’re based out of Queens, New York. Is that still the case? LT: Yes, I am. Born and raised. MM: Have you ever lived anywhere else or have you lived there your whole life? LT: I actually went to Five Towns College so I lived there for a little bit. Other than that, I’m from Queens and I moved back here and stayed here as well. MM: Your influences must be all over the place with the way you blend pop, soul and R&B. Who are your influences? I imagine they must be quite eclectic. LT: Yeah, yeah, definitely, I’m all over the place. I think, if we’re going with more older influences, they’re Michael Jackson and Prince. But if we’re going with more modern influences, I would say between Justin Bieber and Justin Timberlake. Just to kind of morph that into a more modern sound. The modern pop sound, I guess. MM: There’s a darkness to some of your songs. Where does that stem from? LT: Well, actually, I’m very, very sensitive person. So, everything hits me very sensitively. So, I sometimes go into dark territory with a song. I write a lot of light songs, but definitely a lot of dark songs. That comes from being very sensitive and letting my emotions take over. MM: Name three artists from your parents’ record collection who you actually liked? LT: [Laughs] Actually, my parents had good tastes. So, I would probably say Prince, definitely Michael Jackson. Honestly, Rod Stewart, too. I listened to a lot of him when I was a kid. He kind of had like a cool rock ‘n’ roll edge, but he was still pop, you know? It was cool. MM: So, what was the first album you ever bought with your own money? LT: That was actually Britney Spears’ Baby One More Time. MM: Your newest album is 2017’s Clean House. Did you self-release it or are you signed to a label? LT: It was independent, yeah. I’m still trying to see what’s the best option. Like most independent artists right now. That’s the struggle. Because I am a songwriter first and foremost. I also sing my songs, but that’s my forte, songwriting. So, I’m kind of in between. I don’t want to lose my masters or give control over to anyone, you know? I guess I’m kind of holding out until I feel like there’s no other options. Or I get a good contract that will allow me to still keep my rights. MM: I hear you. I’m a self-published author so I get it. LT: If you want it distributed to this one and this one and this one, you just keep it for yourself and whoever else is involved, you know? Direct. But, again, there are the pros and cons and the con is that you don’t have the big machine backing you, you know what I mean? It comes with each territory. MM: I love your new single, “Love is Blind.” Was it inspired by a bad relationship you were in? LT: Yeah, it was definitely influenced mostly by me and my relationship back in my high school days when I was so not [seeing] the relationship for what it was. It was also influenced by a lot of people around me. Other friends or family or whatever that were in a relationship. I was like, how do you not see what’s going on? I’ve seen it with myself and with also other people in that situation. You almost become blind and you don’t notice the situation for what it is. It’s a very weird, concept. MM: What was the experience of making the video for “Love is Blind” like? LT: Actually, it was really, really awesome. We found a guy named Austin Hine, who was really good. We started talking on the phone and got to know each other. What his usual work is, and what my work is, and met in the middle. I wanted to do like a ’90’s Jackson R&B era kind of video. I know “Smooth Criminal” is from the ’80s, but a little bit of “Smooth Criminal” and Janet Jackson. That whole deal. Kind of do a mix of that and do something very dark and mysterious the way they used to. And he totally got the concept. He had a warehouse that was available and we rented it out and I got a bunch of my friends who were dancers and we had a lot of fun with it. Explored different silhouettes and colors and choreography. It was definitely a very interesting and creatively fulfilling project. MM: Who did the choreographing? LT: Actually, it’s a choreographer in New Jersey. Her name is Stephanie Wneck. And she is super, super talented. I’ve worked with her three or four times now and she has a modern swing to her dancers and some of the trends with the hip-hop dancing. And she’s also a classically-trained dancer and can go into that, too. It’s something to watch her do all of that. I love that. She is super fun to work with. MM: Have you ever taken professional dance lessons yourself? LT: Yeah, actually, I was in dance school from when I was maybe seven until about when I graduated high school. That was like 18. About 11 years. And I studied theatre in college, too. Dancing on the stage a little bit. Not as intense as dance training, but, still, I’ve always been active in dancing. MM: “Catch Me if You Can” sounds like something Pharrell could’ve produced. Is he an influence? LT: Yeah, that and, actually, Diplo, too. I don’t know if you know Diplo, too. He’s like a kind of DJ. 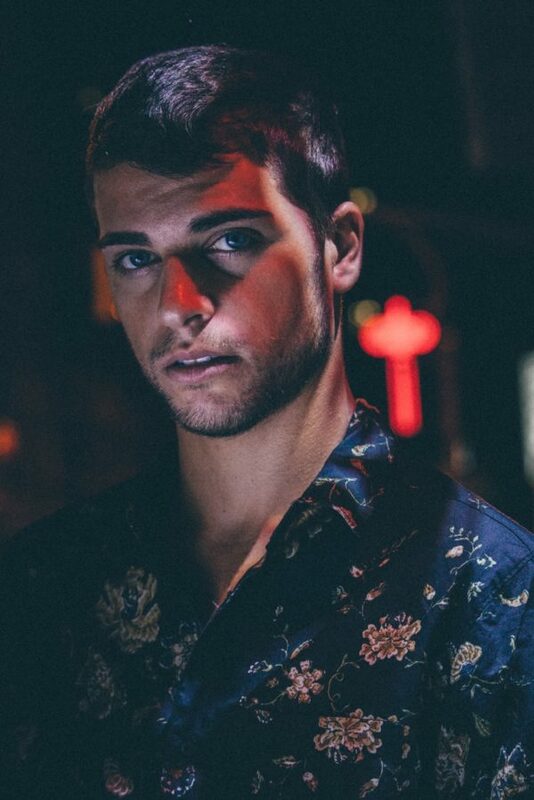 He mixes pop but also dance and hard EDM but like with hip-hop. It’s very cool. So, I kind of like that whole thing. Pharrell and Diplo, they kind of mesh all genres into one. You could play it at an EDM festival and they’d all jump, but then you can also play it at an underground hip-hop club and they’d all jump, too. Definitely transcends across all genres. So, I was kind of going with that, too. MM: The song kind of sets an ominous tone for the album. Was that deliberate? LT: Yeah. 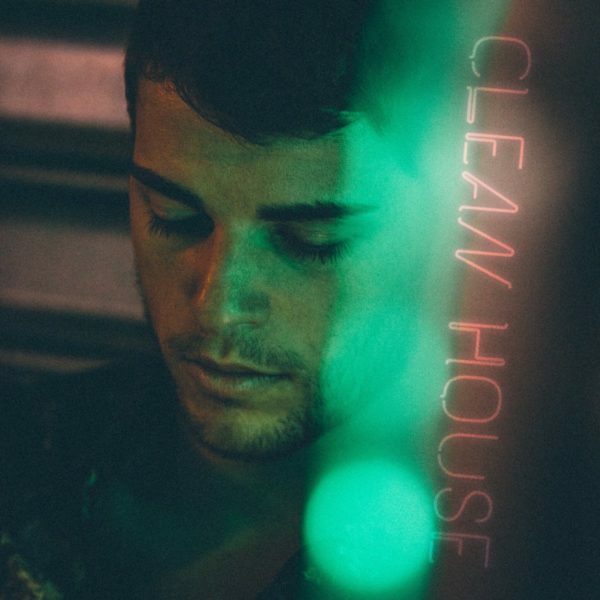 That song definitely went along with the title of the album, Clean House. I felt a shift in my life happening where I was getting rid of negative and toxic energy. And I was definitely becoming confident in myself and finding the right music I wanted to make. First of all, saying to myself, “This is it. This is the start of it.” But then also saying to everyone else, “If you’re not along for the ride, goodbye. If you are, come with me.” It was that self-confidence that I had just found. And that goes along with the title of the album, too. Cleaning out anyone I thought was holding me back or wasn’t having my best intentions at heart. Cleaning house, you know? MM: The song “Silent Film” is pretty dark, too. What inspired that one and what is that creepy sound that we hear throughout the track? LT: [Laughs] Yeah, actually, funny enough, when I worked with this producer, Idan Altman, he sent over a reference track of a very experimental kind of thing from another album. And he actually used that. Very cool. He was very experimental. I love that about him. That song, actually, I struggle with depression, too. I’ve struggled with am I good enough and all of the normal things you would experience as a human being, especially being an artist. Being sensitive. And, also, trying to make it in this competitive field. Sometimes you just get lost in it all. So, I felt like that song was that and also just in real life feeling the weight of depression and not trying to fall under it but everything feeling so bland. It was like it was going backward in black and white and not where I should be in life where it’s colorful and there were options and there were possibilities and it was a different outlook on life. It’s a very dark song. MM: How does the songwriting process usually start with you. Does it start with a melody or beats or… How does the magic happen? LT: So, it’s usually lyrics for me. I don’t produce my beats. Usually, I have producers helping me. I give them a vibe and they make it kind of that. But, for me, songwriting starts with a lyric. Rarely, it comes with a melody first. Usually, I’ll have a hook line, or I’ll hear a word somewhere, or I’ll hear something. Like with “Silent Film,” I just heard “silent film” somewhere – I don’t remember where – and I just felt like it would be so weird to just compare silent film to how dark life can get. And it just started from that. The first part of the song was [sings], “I become a silent film.” Obviously, all the lyrics just flowed out after. Once that gets going, usually the melody just kind of comes out once I have lyrics there. MM: How old were you when you wrote your first song? LT: I probably was like nine. It was probably a stupid song titled like “Why” and it was about my parents not letting me do something, like “why can’t I do what I want?” Professionally, I think my songs became ready for radio or the professional world at 19. I think that’s when I made the switch where I really started to hone in on my craft. All my talents were there. I just wasn’t doing it. I didn’t realize that everyone else couldn’t do it. Or I just knew it to be so normal to me. And I think at that point I realized this is something special and not everyone has it. So, work on it and hone it and do it. That’s when the shift happened. Ever since then, it’s been a steady flow of songs coming out of me. I’m pretty proud of that, actually. MM: Do you write songs all the time or do you wait until you’re making an album? LT: I’m always creating. I’ll be honest, I’m a very conceptual person so I do like to have an idea [about] what the EP or album is gonna be and write to a specific sound for that. Sometimes it’s hard for me to write a song I don’t see a future for, you know? But I do always create and I have a bunch of songs in my vault that I always write just to keep the skill going and that side of my brain working. But, yeah, I usually like to write when it comes time to put something out. I love gathering different songs and A&R-ing that process, too. MM: So, do you go into the studio and sing your songs acapella and then the producer starts making the beats or how does that go? LT: It depends. Sometimes, I’ve done it that way before. Sometimes I just wanted to create a song and there’s no melody in my head, or beat behind, it and I would just go in and record it acapella to a BPM (beats per minute) and then they’ll send me something back. And then sometimes I’ll send over two or three tracks like a Bieber song or a Prince song and be like I really like this vibe and they’ll send me over a thing, and I’ll send it back, and they kind of add more onto the beat and it becomes that kind of thing. It depends. Most of the time it’s the beat first and I’ll record lyrics over the beat. But there have been times when I’ve done the acapella. MM: Have you done any writing for other artists? LT: Yeah, actually, I work with a few friends from college that are also very talented singers. Like Brii – she’s actually featured on “Wonder.” I wrote a bunch of songs for her when she was doing her album and stuff. And there’s another artist I work with named Kaydilluh and she’s more of an R&B and hip-hop artist. I just go into all areas of exploring and helping anyone out that I can with songwriting. I love the challenge. MM: I wanted to ask you about Brii, since you’ve collaborated a few times. What can you tell us about her and how your collaborations are done? LT: Yeah, actually, I love working with her. We always say we’re best friends in real life but musically we’re each other’s soulmates. We work very well together and our voices blend very well. She was my best friend in college when I was studying theatre and, yeah, super talented. She has a soulful voice, and she just loves singing, so it’s just so nice to have someone around you who just enjoys it. I get in my head and I’m very business-oriented. This has to work and this has to sell. And she’s a very good reminder of “let’s have fun with this” or “let’s just sing and enjoy it.” It’s nice to have her around. She does that for me, you know? MM: What are your thoughts about streaming? Do you think the pros outweigh the cons or vice versa? LT: There’s no way around it now. I think maybe five or six years ago you could get away with just selling your album [but] more digital than physical copies. But now, you know, it’s obviously the future. Especially, for an independent and very new artist like me, that’s where you’ll have to get all your – not money – but that’s where the source of incomes is going to come with. It’s not from people buying because you haven’t built that trust yet where they can trust that they’re gonna buy your album and it’s gonna be amazing. They don’t really know you. Streaming definitely gives you more possibilities for people to hear you, but if it was just a digital download they wouldn’t hear the whole album because they would buy songs, you know? So, that’s a good pro. I guess there are a lot of pros for someone like me. For a big artist, there might be more cons because they can still get people to buy it and trick them into that whole thing. For independent artists like me, I feel like it’s actually a really good, new thing. MM: Do Youtube and Soundcloud pay for plays like Spotify? LT: Youtube, you can monetize your tracks. A lot of them you can’t do if they’re covers or if there’s copyright infringement. But, yeah, you definitely can on Youtube, especially your original songs. And Spotify, obviously you can make money. Soundcloud, I heard you can do that, monetize your tracks, but I’ve never looked into it. I just always felt like Soundcloud wasn’t so busy. Just put out something free-form, just put out a bunch of covers and stuff. I never looked at it more than that. MM: Do you do covers as a way of gaining popularity or do you just like doing covers a lot? LT: I think it’s a mixture of both. I like putting different spins on different songs, but I also think it’s a good way for people to find you who would’ve never found you. Because a lot of times people are just searching for a good “Toxic” acoustic cover. Or this or that. And when they look for it, yours will come up, whereas they wouldn’t necessarily be searching for your original songs, you know? And if they like your cover they might go “oh” and look into your original tracks. It’s kind of a good way for some new people to find you that wouldn’t necessarily be searching for you but for the song you covered. MM: It’s like a gateway drug. MM: How difficult is it to come up with some of those medleys you’ve done, like “Castle On the Hill/Use Somebody/Mercy”? Do you have to sit down and try different things to come up with them or do you kind of assemble them in your head first? LT: To be honest, most of them are natural. I really think I just hear them because a lot of pop music is a lot of the same chords. Sometimes I’ll be sitting there and singing “Castle On the Hill” by Ed Sheeran and then “Use Somebody” by Kings Of Leon will come on in my head. It’s just a matter of I’m singing a chord and that reminds me of this and it comes together organically. Sometimes I’ll just sit down and be like OK, I love this song by Big Sean, the “Bounce Back” mash-up I was like, OK, I love “Bounce Back” but I want to do something else with it, though, because it’s a very monotone song. It’s a rap song. So, I didn’t want the whole song to be that. With that one, I sat down and I was like OK, I’m going to start with that song and I’m gonna look for songs that go with this song. And cover it, but not just that song alone. It depends, but usually, it’s me sitting there humming and going, oh, that goes with this. It just kind of comes together. MM: Many of the songs you cover are by popular artists, but they’re not their most popular songs. How do you decide what to cover? Do you ever take requests from fans? LT: I definitely take requests. I always say that I would love to play what anyone wants to hear. But, no, it’s usually just what inspires me. Because I don’t like to put out stuff that doesn’t feel like it has a meaning. If I don’t have a new interpretation of a song then don’t put it out. I wouldn’t put out a hugely popular song just because I feel like it’s gonna get searches. I feel like that rubs off on people, that you just put it out for that. I’m still an artist, first and foremost. Of course, it is a business, but I definitely want anything I do to be because I want to. Because I heard something no one else is doing to this song. Even “Toxic,” that’s a Britney Spears song from 2004 or 2003, but no one is necessarily asking me to do that right now, but it’s one I heard in my head, a very folk-y, like rock version to it. To have it acoustic with a raw edge to it. I like when things like that strike and I just do it. If it turns out to be a popular song that everyone will search for, great, but I’m not gonna not do it because of that. MM: When you do an acoustic cover of a song that’s primarily just beats do you have to come up with the chords and everything yourself? LT: Yeah, yeah. Actually, I’ve had that problem before when I did one live show a while ago. And a lot of my beats and a lot of my stuff isn’t so piano or guitar-driven. It’s electronic, you know? Electric instruments. But I have a friend, John Moran, and a couple friends from college that are very talented musicians that can play piano and guitar and they always kind of transcribe it in their heads then play it on an instrument. It’s very crazy when you watch them to do it. They transform a beat that’s more of electric instruments and turn it into an acoustic piece with piano or guitar or a bass. It’s very cool when they do it. MM: Do you have any covers that you’ll be releasing soon that you can tell us about? LT: I’m trying to find ones right now. I’ve been so caught up in “Love is Blind” and everything with the promo and the album. I was actually just thinking of that a week ago. I was like, I haven’t put one out in a while. I really want to put one out. I’m trying to find the right track that inspires me to want to do it. Not just to do it. MM: How much performing live have you done so far? LT: I’m still getting out there. I’m still fresh. I’ve only done a few shows here and there. Very little shows. Little showcases. Like two or three. So, I’m still looking to make my way out there with some connects to hopefully book some stuff, you know? MM: If you could open for somebody popular like Katy Perry or Rihanna or headline a club tour of your own, which would you prefer? LT: I think it would depend on the artist. If the pop artist really was my demographic and would be what I’m shooting for then I think I would go for that. But if it was someone that didn’t necessarily make sense for me I think it would be more beneficial to do a club tour and do something more intimate to gain fans. 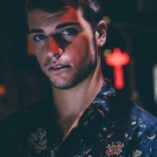 But if I could go on tour with somebody like Bieber or Timberlake I think their fans would definitely cross over easier and might be beneficial to me. MM: If you could open for any artist in the world, who would you pick and why? LT: I think I would choose Justin Bieber. Just because I feel like we are very similar. He has differences and I have differences so it’s not like we’re the exact same artist, but I feel like he’s very similar where I could gain a lot of fans. MM: I’ve never gotten into him. I always thought he was really cheesy when he was younger. What would you recommend insofar as his newer music goes? 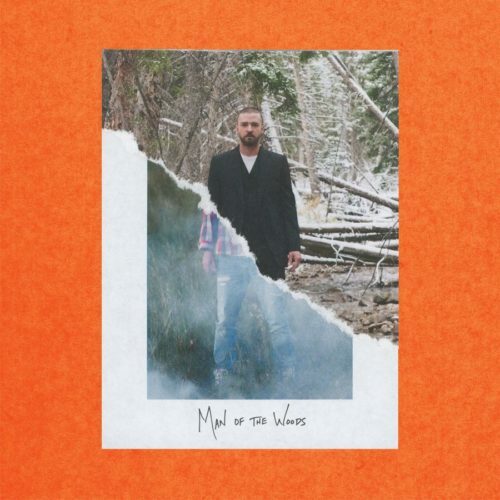 LT: I definitely would – I should say newer Bieber is what I compare myself to, not old Bieber – but, yeah, his latest album, Purpose, has some tracks that are similar, I think, to “Love is Blind.” Or a lot of the tracks on the album. Not even me doing it purposely. It’s just what our voices just sound better over, you know? Where we just naturally go. First of all, it solidified him as an artist with longevity, but also, it wasn’t so kiddie. He’s an adult. He’s making that transition from kid to adult. And the music is just dark. That’s the one that has “Sorry” and “What Do You Mean” and all that stuff on it. Good album. MM: Can you tell us about the worst day job you’ve ever had? MM: Do you tend to listen to more singles or full-length albums? LT: It used to be albums, but nowadays singles. MM: What song is stuck in your head right now? 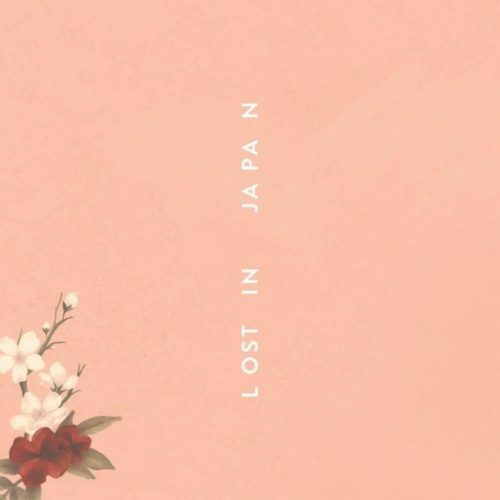 LT: “Lost in Japan” by Shawn Mendes. It just came out this week. It’s a very good song. MM: If you were going to move to a foreign country, where would you move and why? LT: I think Italy. They’re so relaxed and so happy. LT: What am I watching right now? The new Will and Grace is actually really good. I’m normally not a fan of re-boots, but this one I’m a fan of. MM: Who were your childhood heroes? LT: Probably Justin Timberlake. Just because it was the first time in my life that I was seeing someone do what I wanted to do. It was just mind-blowing when I was a kid. “Oh, I can do that!” “On my God, I want to do that.” He was like a hero. MM: What do you think of the new Justin Timberlake album? LT: I’m very hard on him because I like him so much. So, this one I’m not too crazy about. But the album before this, I am so obsessed with. So, he’s done no wrong in my eyes until this album. MM: Yeah, that’s how I feel. Can you tell us three things from your bucket list that you have yet to do? LT: I would say skydive. I definitely want to try that. I do want to go to Australia. I want to travel there. I’ve always kind of had an interest in that. And I think I eventually – in the next year or two – want to move out to L.A. I think I want to move and live there for a while. It’s definitely been on my bucket list for a while. MM: I lived out there for three years myself. I’m hoping to move back out there at some point. It’s so different from what you hear on the news and stuff. People are very laid back and there’s all kinds of great suburbs. LT: So, you liked it over there, right? MM: Absolutely. I loved it. LT: I love New York and I love being born and raised in New York. Getting the hustle mindset, getting things done, in and out. But I think, as I get older I’m starting to get over it. Not that I want to move at a slow pace but move at a slower pace. MM: One last question. If you could resurrect any musician from the dead, who would you bring back? LT: I guess Prince. I’ll go with Prince. Download Clean House from Amazon. Special thanks to Louis for taking the time to talk with us and to Rodney Coursey for connecting us! Usually when these cover artists put out original albums they wind up being super cheesy like most of the songs they cover, but this album is far from being cheese. Most of it anyway. Could’ve done without the second song but I’ll buy it for the others. It sounds like Louis is very passionate about everything he does. It’s nice to know one of these cover song stars isn’t just doing it for the money. I’m not sure what I think of his new album yet but I saved it on Spotify and will give it a few more playings before I decide. Sometimes the best ones are the ones you’ve gotta listen to a bunch of times before they grow on you.